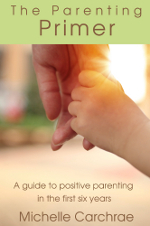 Whether you’ve made a conscious decision to practice attachment parenting or you fell into it by following your instincts, there comes a time when your newborn baby starts to grow out of that newborn stage and begins to settle into a regular pattern of wake and sleep patterns through the day and night. You notice that your baby wants to fall asleep at about the same time each day, and you begin to reach for your sling, ergo or wrap each time. Why Bother Teaching Baby to Nap Alone? One of the beautiful things about attachment parenting is the acceptance and encouragement to keep your baby close, letting her ride in a sling for comfort and rest. There is absolutely a time and place for slings and baby carriers, but relying on babywearing for your baby’s daily naps can be a problem. For one, naps are an oasis of time and space during the day in which to get the dishes done, have a cup of tea or do some yoga. If you’ve got a sleeping baby strapped to you, you may still be able to walk around and run errands, but you won’t get the physical rest and distance you would if baby was sleeping in bed. The other big reason to encourage naps in bed is that eventually your baby will get too big to carry. Babywearing a heavy toddler for a 2 hour nap will do a number on even the strongest mama’s back. 1. The Sneak-Away. This works great for babies who are used to nursing to sleep in bed at night. Lay down and nurse baby to sleep, then when he’s konked out, gently get up and go about your day. A baby who isn’t used to sleeping alone may wake up in a few minutes, complaining that you’re not right there beside him. In this case it’s time to try #2: Persistence. 2. Persistence. If your baby doesn’t love sleeping alone straight off the bat, you may need to convince him it’s ok. Every time he wakes up, go to him and nurse him back to sleep in bed. Eventually you’ll get a feel for the right moment to sneak away and he’ll get the idea that he’s staying in bed and you’re getting up. 3. Stay Cool. The paradox of nursing to sleep and sneaking away is that if you’re tense and stressed about all the things you need to do during baby’s nap, baby picks up on it and has a harder time falling asleep. Try to think about that alone time as a gift that you may or may not receive instead of a payment that you are due. Easier said than done, I know. 4. Use White Noise. 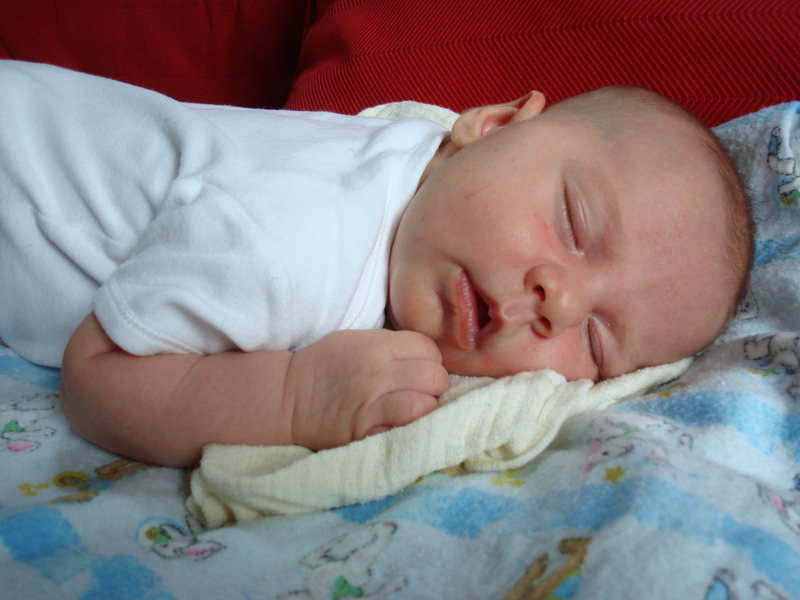 An air cleaner, fan or white noise machine can help mask other noises that might wake baby up and disrupt naps. It seems a bit gimmicky, but it really does work. 5. Routine. Routines are a little bit of magic in the lives of babies, toddlers and the adults who care for them. Going for a nap at the same time, and doing the same things before a nap every day can help babies and toddlers understand what’s going on. It takes some time for this to start working, but when it does you’ll have a good thing going on together. Some parents brush teeth before every nap, others read a bedtime story or put on a CD of sleepy music. Even a familiar blankie can be a sign that it’s naptime. Of course, if you try these techniques out and your baby screams like a banshee, trust your judgment. Let it go for a while and come back to try again in a month. Babies change so quickly and every baby grows into the ability to sleep alone at a different age. Napping alone is good for moms and good for babies, so don’t be afraid to find the middle road between cry-it-out sleep training and wearing your baby for every nap of her life. There is a happy medium, it just might take a little effort to get there. Colleen´s last blog post ..General Assembly (GA) Weekend! I certainly wasn’t very good at routine at first! I grew into it more out of necessity than anything else, but I love our flexible daily rhythm now. Regarding #3: It is so much easier to “slip away” if the baby has gotten into a deep sleep, and like you say stress and tension in the mama interferes with that. Not only that, but those babies are smart and can sense when you’re trying to get away from them. My deal with myself was always that I would relax as deeply as possible while nursing, and if I ended up falling asleep so be it, because obviously I needed it and would feel better and more sane if I got some sleep too. I did end up taking a lot of naps, but often I’d be able to get back up and get in a good run of doing tasks while baby was in a deep sleep from me being so relaxed while nursing. Also, it helps so much to not have a springy bed. Futons are great because when you roll away it doesn’t shake and disturb the baby. I certainly took my fair share of co-sleeping naps, especially with my first. With my second I was too aware of the fact that Bea still needed me to come back to her to fall asleep, but Claire napped a bit easier and I was less tense about it. coincidence? maybe, maybe not! For us, having less than 2 sleep cycles per nap (and less than 3 naps before 6 mos, or less than two between 6 mos and a year) meant total Mama-baby chaos – hours of screaming and tantrums, biting and pinching and mama-meltdowns. When M got the proper amount of sleep she was charming and interested and dynamic – still a challenge, but a manageable one. Being emotionally fragile meant that I was prepared to do much to allow for the proper amount of sleep! I was not able to do the sneak-away with M until she was 14 months, though perhaps I was not Persistent enough, because the consequences were just to drastic for me to endure for too many days in a row. We did get her napping on her own when she initiated it (at 14 months), which has been the case for all transitions for her, like night-sleep in her own bed, and potty learning. And honestly, once it is initiated by her, the process is amazingly smooth. But once she was napping on her own, your numbers 3 – 5 were a big part of making it successful, for sure. Yes, every baby is different, and what may be reasonable persistence for one would be unreasonable for another! Good point. Re: #1-I like how Linda referred to it as the slip away rather than the sneak away. I might “sneak” treats so my kids can’t see me, but the thought of sneaking away from them in that way rubs me the wrong way for some reason. I love that there’s such a varied list here. I’m still new at this mommy thing-my oldest is 2.5 so I’m still figuring it out. Luckily (or not…) for me, my oldest isn’t napping anymore and my youngest happily crashes for two hours every day after lunch, alone in her crib. I got lucky with that one. I hadn’t thought of the word “sneak” as having negative connotations, but I can see how it might for some folks. It feels like sneaking when I know my baby would rather have me there 24/7, but in the interest of balance it’s better for me to slip away for some me-time. But perhaps the word “slip” is less loaded. Thanks for pointing that out! Her preference for noise or quiet seems to change too so sometimes I need to sit in the calm bedroom and sometimes it’s ok in the busier living room/kitchen. I LOVE that AP-friendly parents call nursing to sleep “napping alone”…almost everyone else thinks that sleeping alone means babies fall asleep w/o nursing, babywearing, or any sort of parenting (just stick ’em in the crib awake). This post was validating for me (I use most of what you suggest) and I appreciate it! Babies have strong senses especially smell! So covering or wrapping baby in something you have been wearing helps and that is part of putting or leaving baby where you have been rather than putting them to sleep in another place!! Also all you baby wearing mothers know you can do more with the baby in a sling and they will sleep when they need in the sling at the same time even when vaccuming!! Using a sling that you can uno an put baby down without disturbing them ( ie leave lying on the sling) helps!! That’s true – being able to easily put baby down was one of the things I liked about the Bjorn carrier. My big babies quickly outgrew it, but it was great for when they were tiny and fell asleep all the time. My daughter is now 7 months old, and I was beginning to get a little frustrated that she won’t nap on her own. Even if I carefully move her on to the couch beside me (if she stays asleep) her nap is always drastically shorter than is she’s napping on my nap. I never minded her napping on me, was always a nice chance to relax, unless I needed to go to the bathroom or desperately need the glass of water I forgot on the counter. I’ve been trying to get her to nap on her own, but it’s not going well (probably explains the frustrations). And then I found this blog. It actually made me feel much better about our napping situation, and I’m actually enjoying it again (she’s napping across my lap right now). I’m still hoping that I will be able to get her to nap alone (would be nice to get some stuff done or get that glass of water from the kitchen), but I will take my time. This blog, and the comments, made me feel validated and like I’m not alone (and that my child isn’t weird). Thank you! Loved this article! Great tips, but I have a bit of a question in not sure how to deal with! Dd is 5 months now and has separation anxiety, but not necessarily with me! I can leave her with anyone and she’s fine, but if she’s left on her own in the room, even for 2 mins playing on the floor, she gets hysterical! Is making life hard as I need her to learn to put her self to sleep as I have 2 older children too! I’m all for Ap, but sometimes just need that 5 mins space! Anyone have any kids like this? Separation anxiety is very common around that 5-6 month age group. They’re just learning to get mobile and that’s exciting, but it also means they could get separated from their caregiver and that makes them vulnerable. Imagine a baby living in a jungle tribe being left alone, even for a moment. DANGER! And babies brains don’t yet understand that we’re not living in jungle tribes anymore. At the same time, I know how much you really need those nap breaks as a mom. Especially when you’ve got other kids to care for, it feels like a lot to be constantly there, carrying & holding. Can you carry her in a sling while you care for the older two, and then slide the sling off when she’s fully asleep? When my younger daughter was this age I set my elder one up with some books & safe toys in the other room while I laid down to nurse Claire to sleep. It worked for me because my elder daughter wasn’t much of the type to destroy the house while I wasn’t looking, and I know that’s not the case for everyone! But maybe you could set something like that up for your older 2, even a 10 minute show while you nurse the baby to sleep? I bedshare with my 7 wk old and I was wondering about sleep position. They say back is best but he nurses on his side and falls asleep there (as do I). I wake up later and worry about him because I forgot to put him on his back. Typically he wakes up if I roll him onto his back. If I do successfully get him there, he usually rolls to his side to snuggle closer. Should I be worried about this because of SIDs? I need tips! I’m a stay at home dad with a six-month old. My wife co sleeps with our son and he naps while nursing or detached but on her lap when she’s home. Needless to say this has presented me with a challenge when it comes to naps. Right now I’m typing this on my tablet with one finger because the baby is also on me lengthwise and my other hand is holding him from rolling off but no way am I moving him after trying to put him down in our bed while laying next top him. How do I do this without accessing up what my wife has with him and still maintain my sanity and his emotional well being! First off, kudos to you for prioritizing your baby’s emotional well being and the breastfeeding relationship he has with your wife. Dads totally have the ability to comfort babies, but you do have an extra challenge since you aren’t able to breastfeed him directly. Something that might work well for you is having him nap in a baby carrier or stroller – then you can still move around instead of being trapped on the couch beneath a sleeping baby! You could also try nursing him to sleep with a bottle while lying in bed, or in a rocking chair. Just keep trying until you find something that works for both of you! good luck! Whatever happened Ryan? How did things end up going? I am like your wife. You and my husband are in the same boat. Maby your insight can help us! thank you so much for this little piece. I was beginning to be very frustratied with failed nap attempts and tempted to let him cry it out (which wouldprobably cause me to cry it out too!) My little man is 6 wks and I’m starting to feel like we need to get into a nap routine. Do you think 6 wks is too early?